It’s a philosophy that many Namibian surfers have lived by for decades, biding their time and braving the elements while quietly enjoying hard-earned waves from Lüderitz to Swakopmund, where most of Namibia’s surfing population is concentrated. Historically the rest of the surfing world has overlooked the country’s 1,572 km of daunting coastline. However, contrary to popular belief, Skeleton Bay was surfed long before 2008. In fact, a group of Namibian diamond divers used to ride it on their windsurfers back in the 1980s. A 2012 study using satellite imagery backs up Metzger’s recollections, claiming that the shape of Skeleton Bay has changed dramatically over the past forty years due to large amounts of sand moving northward along the sand spit that creates the wave. 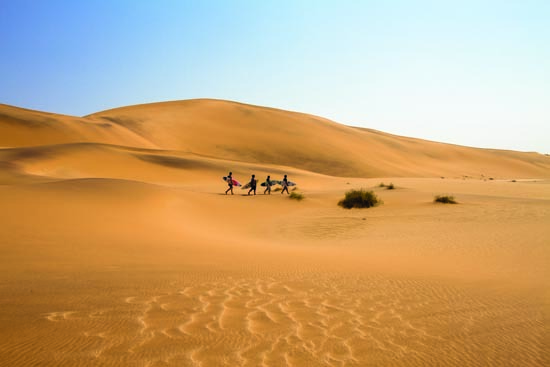 One geological study estimates that nearly one million cubic metres of sand flow past Skeleton Bay per year. Scientists believe a subtle shift in the mean wind direction since the late 1970s is responsible for the evolving landscape. As the predominant southerly wind continued to blow and move sand along the coast, Metzger’s 100-metre wave grew into a two-kilometre freak of nature, surpassing iconic surf spots such as Jeffreys Bay that took millennia to form. Namibian locals were riding this revamped wave well before 2008 when it suddenly became the surfing world’s new benchmark for the perfect wave. But Skeleton Bay is not the only spot worth surfing in Namibia. The coastline is littered with excellent reefs, bays and beaches, stretching from Lüderitz to well beyond Swakopmund. The road between Walvis Bay and Swakop is a good place to start, offering a series of good waves that are easily accessible. Guns is the most well known of these, a powerful left-breaking reef that was Namibia’s most famous wave before Skeleton Bay stole the limelight. However, it’s still an excellent ride. 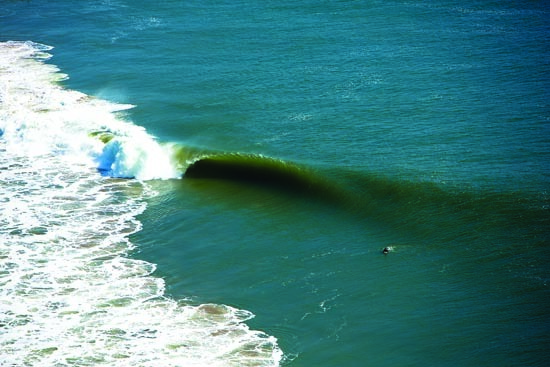 Thicklip, as the name suggests, is another powerful break in Swakopmund, which is also home to the Wreck, Lockjoint and Tiger Reef, which all favour light winds. Further north is Cape Cross, an incredibly fun and long left-hander that sits in the Cape Cross Nature Reserve. Access can be a problem though and authorities have declared surfing off limits at various times of the year, due to it being home to the largest breeding colony of South African (Cape) fur seals in the world. It’s best to check with nature conservation officials to see what the status is rather than risk a heavy fine or upsetting the flippered residents. Crowds are the least of your worries when surfing in Namibia. In fact, most of the time you may be looking for someone to share the beach with other than the desert jackals that roam the shoreline. Braby, who is a nature conservationist by profession, says that no matter where you go, the number-one rule to remember when surfing in Namibia is to respect the environment. Do this, and you’ll get the most out of the experience, and score magic waves with just good friends and the South African fur seals. Go explore… You might find your own diamond in the rough! 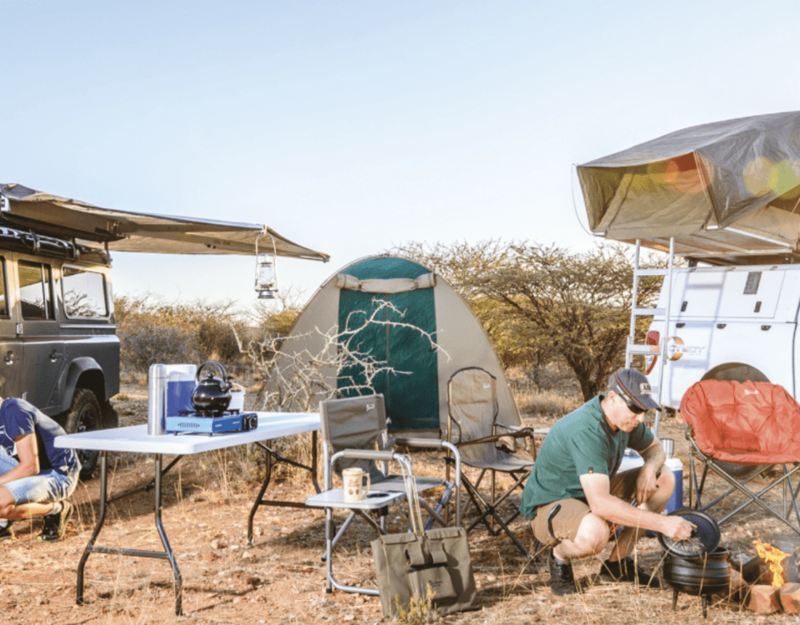 TRANSPORT: The waved coastline from Walvis Bay to Swakopmund and around Lüderitz can generally be accessed by a normal sedan, but you’re going to need a capable 4×4 for any exploring beyond this, and to reach Skeleton Bay. Certain stretches of coastline are off limits or require permits – make sure you know which these are before you set out. RUBBER: A good, thick wetsuit is essential, summer or winter, due to the cold Benguela Current that flows along Namibia’s shores combined with the nutrient-rich upwelling, which can send water temperatures plummeting. A 4/3 millimetre wetsuit with a built-in hood is the best option. Booties and gloves will keep you toasty and won’t be amiss on the coldest days. EQUIPMENT: Namibia’s waves are powerful and pack a punch. A thicker board for more paddle-power is a good idea, and some extra glassing for strength will help ensure the survival of your board. Skeleton Bay especially snaps boards like toothpicks. There are a couple of surf shops in Walvis and Swakop, but it’s not a bad idea to stock up on goods such as extra leashes and cold-water wax before you arrive. The best time for waves is from May to September when cold fronts that hit South Africa send swell up the west coast to Namibia. 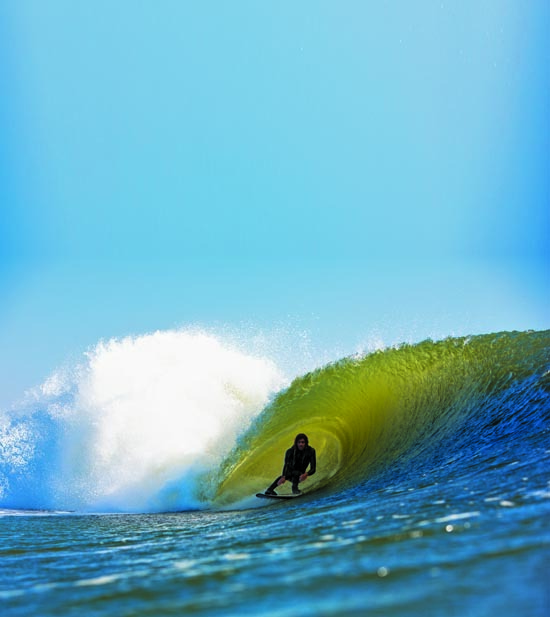 Skeleton Bay requires a very large swell to get going and can handle the predominant southerly wind, but many of the other breaks operate on smaller swells and calm conditions. If you’re going to surf these other waves, early morning is often the best time before the southerly wind picks up and ruins them. Skeleton Bay is an exceptionally powerful wave and is not suitable for beginners. There is huge potential to explore for other waves, but make sure you’re properly equipped and do your homework beforehand, or you may be turned back from off-limits areas or, worse, get stuck. There are a number of other guesthouses and accommodation in Walvis, Lüderitz and Swakop where you can base yourself near the beach. Surfed Tiger Reef at the invitation of the local surf club president. He lent me a board and his wet suit. Very friendly. River mouth sandbar wave but heard of sand point breaks, one after another all the way to Cape Cross.